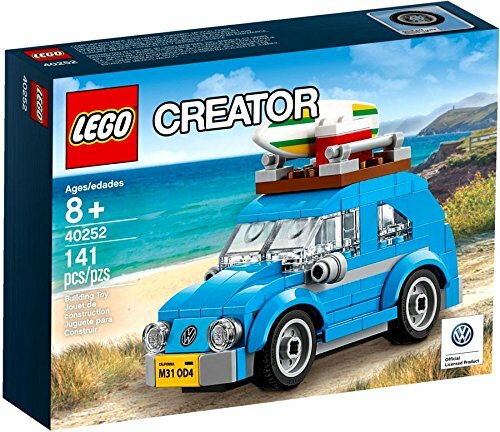 Drop by the LEGO® Creator Expert 10264 Corner Garage, where you’ll discover a world of fun and surprises! This amazing model comes with removable building sections for easy access to the highly detailed interior and comprises 3 stories. On the ground level there’s a 1950s-style gas station with fuel pump, kiosk and a vehicle workshop complete with a roll-up door, vehicle lift and tire mounter. At the mid-level animal clinic you’ll find an examination table, fish tank, and a waiting area with sofa, while on the upper level you’ll discover a well-equipped apartment with kitchen, TV, sofa, bed and a staircase that leads to a rooftop terrace with sun lounger, parasol and flower garden. The exterior of the building features a classic 1950s facade with signage, detailed windows and a decorative roofline, plus a sidewalk area with a tree and an ornate streetlamp. 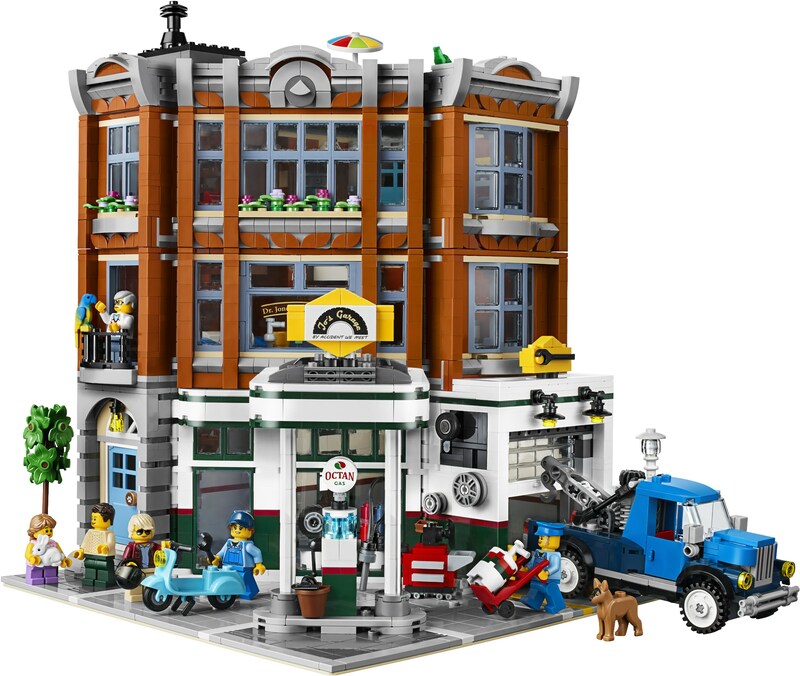 This charming addition to the Modular Buildings series has been designed to provide a challenging and rewarding building experience, full of nostalgia. 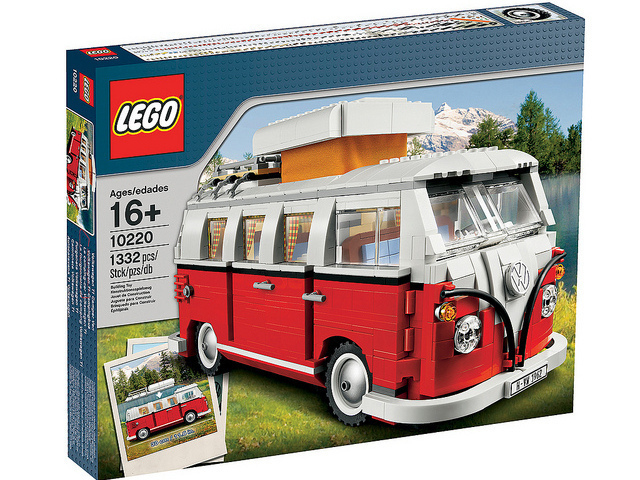 Also includes a scooter, tow truck and 6 minifigures, plus parrot, bunny, dog, frog and fish figures. 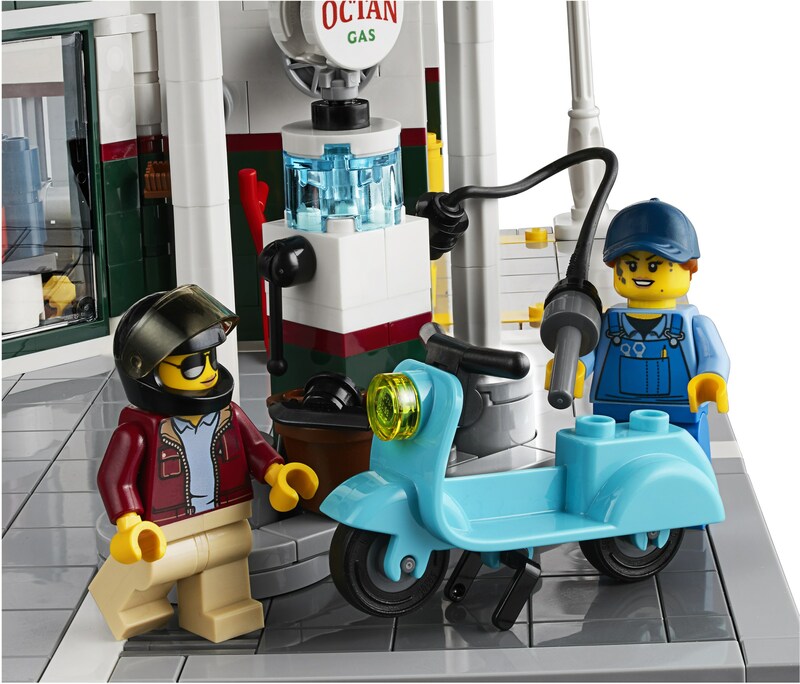 Includes 6 minifigures: gas station owner, mechanic, vet, woman, man and a girl, plus bunny, parrot, dog, frog and fish figures. 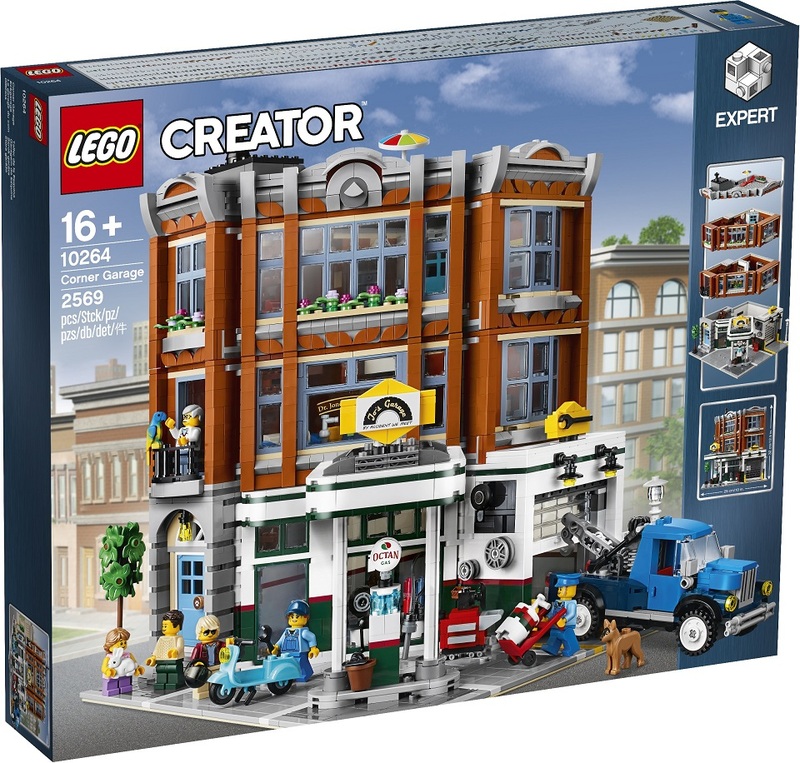 The 3-level Corner Garage advanced building set comes with an array of brick-built details, including a detailed 1950s-style facade with gas station signage, windows, bay windows, arched doorway, roll-up vehicle workshop door, decorative roofline and a rooftop terrace, plus a detailed sidewalk area with tree and ornate streetlamp. This set also includes a tow truck and a scooter. Ground level features a gas station with a bucket and a fuel pump with a flexible hose, plus a kiosk and a vehicle workshop for car service and repairs, featuring a cash register, tool rack and trolley, oil drum, tire mounter and working vehicle lift. 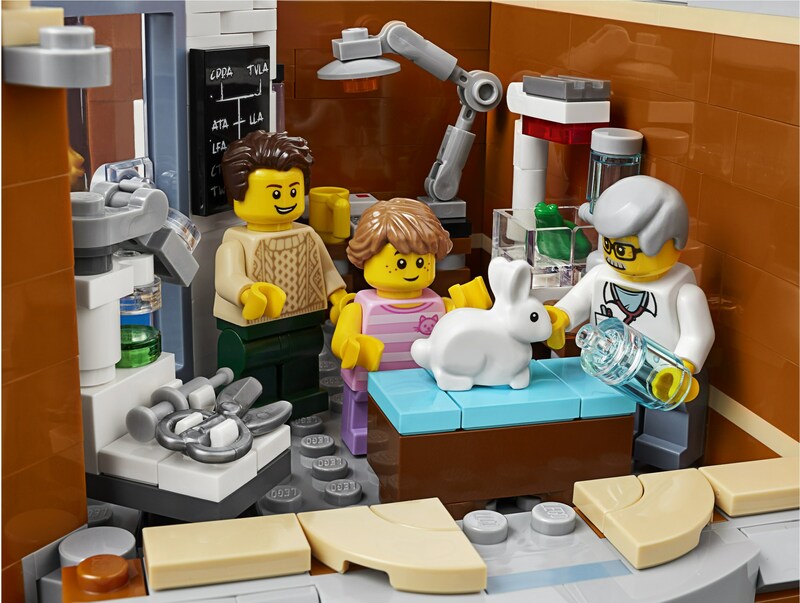 Mid-level animal clinic features an examination table, parrot perch, fish tank and a waiting area with sofa, armchair, table and flowerpot, plus the animal doctor’s desk lamp, microscope, mug, newspaper, envelope, scissors and syringe. Upper-level apartment features a well-equipped kitchen with cookies baking in the oven, sink, pan, mug, salt and pepper, spoon and spatula, plus a sofa, bed, an old-fashioned TV, and a bathroom with toilet. Rooftop terrace features a sun lounger, parasol and flower garden. Tow truck features a working hoist. Accessory elements include a window squeegee and a crash helmet. Help the gas station assistant fill up the 1950s-style scooter. Roll up the door to access Jo’s vehicle workshop, complete with tire mounter and working vehicle lift. Remove the modular building sections to access the detailed interior. New-for-January-2019 decorated elements include an animal clinic window, service station sign and a printed octane gas pump. 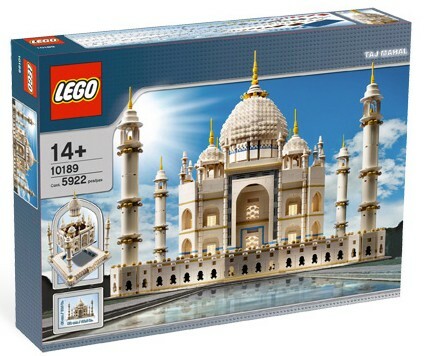 Special elements include new-for-January-2019 black ice skates, 2x6x2 window in sand blue, 1x1 medium gray roof tiles, 1x1 angle plate in dark blue and rare dark-orange elements in various shapes and sizes. 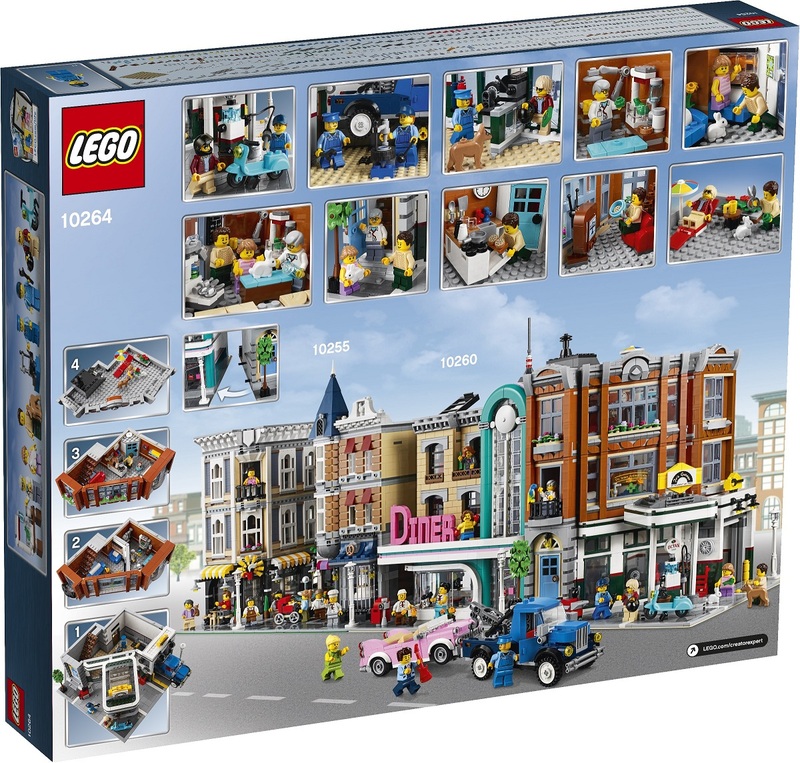 Collect and build an entire town with the LEGO® Creator Expert Modular Building 10243 Parisian Restaurant, 10255 Assembly Square and 10260 Downtown Diner. 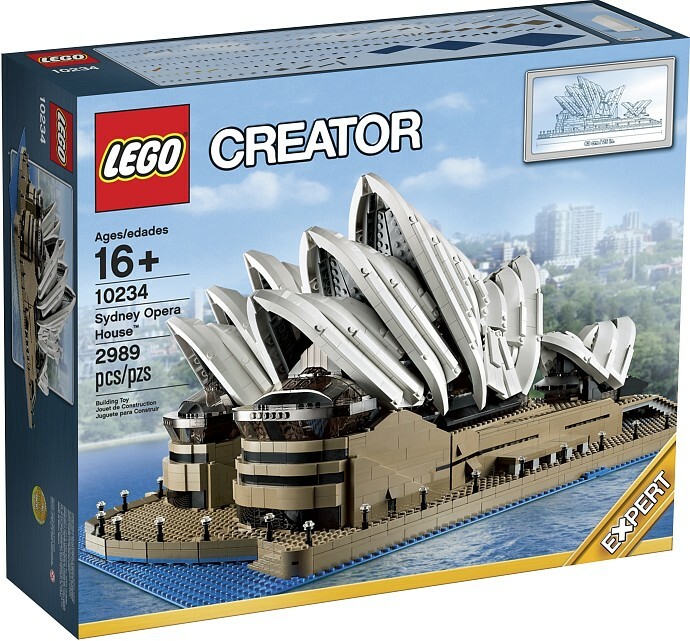 This set includes over 2,560 pieces. Measures over 12” (32cm) high, 10” (26cm) wide and 9” (25cm) deep. Tow truck measures over 2” (6cm) high, 5” (14cm) long and 1” (5cm) wide.